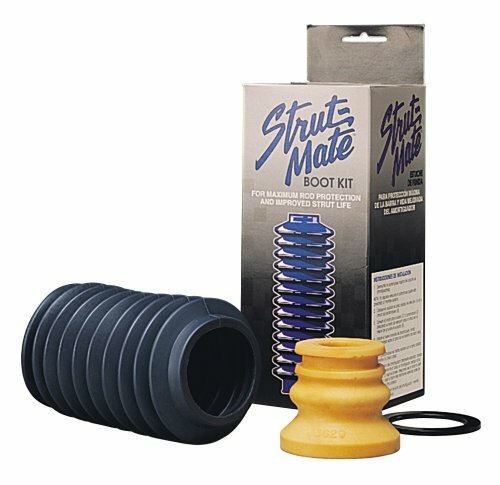 Heavy-duty construction and unique design features make the Monroe Strut-Mate boot kit the quality choice for maximum rod protection and improved strut life. Damaged boots may not protect the rod finish. A pitted piston rod can lead to premature strut failure. Deteriorated OE bumpers may not offer adequate protection from severe suspension movement, leading to premature strut failure. View More In Mounting Kits. If you have any questions about this product by Monroe, contact us by completing and submitting the form below. If you are looking for a specif part number, please include it with your message.